It’s such an unpleasant thought when you have to think about portable toilets. We all use them when we have no other choice and would rather hold it than go! However, there will be times when you cannot hold it! In fact, there will be times when you are in fact responsible for providing a portable toilet; whether for you job site or an event far away from restrooms. In that case, you will need a reliable Mukilteo Portable Toilet company. A reliable company that will understand your septic needs is what you will need. You may be toying with the idea to buy a portable toilet. Why not? You could have it for as long as you want. Whilst that may be an option, it is not the best option. Why? Because you will end up spending the same amount of money it is to rent a portable toilet, pumping your own porta potty. Ideally, living in Mukilteo means you have access to Super Septic Services that offers portable toilet rentals. As the name suggest, we offer septic services including pumping, installing and repairing of septic tanks. As such, we would be more than able to fix any problems that would arise with your rented portable toilet. 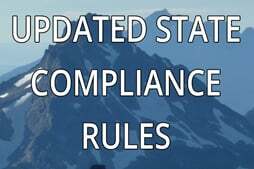 Importantly, you will find that other companies that offer portable toilet rentals are not in the septic business so their septic knowledge-base in not as advised. This is exactly the reason why you need Superior Septic Services! Call us today to speak to one of our customer service agents about any queries you may have concerning renting a portable toilet. Yes, we know that questions may arise and that’s the reason why our agents are always on call. They will gladly explain the entire process to you. With that being said, there is no reason to worry! Superior Septic Services will take care of your business for you! Septic business that is! Just remember, when you need experts in Mukilteo Portable Toilet, you need Superior Septic Services. There are minimal required preparations. 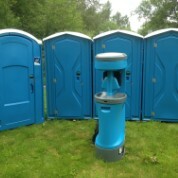 You would be thinking why you didn’t think of portable toilet rentals sooner! Call us 425-905-2485.